They are perhaps one of the oldest tricks of the trade that chemists have. While you're testing for the number of hydrogen ions in a solution with a strip, you can actually pretty much test them for anything. Salvia, soap, urine, wine, and beer to name a few things. Swimming pools, fish aquariums, hot tubs, and the ever popular kombucha are a few more! But we want to focus on how you can use pH strips with your brewing. Let's assume for the moment, you don't have access to a really good battery powered pH meter or you don't want to outlay the cash to buy one. The good news is that pH strips are really cheap as chips to buy. So why do you want to use a pH strip for testing beer? The pH level of your beer (both mash and wort) affects the way your beer turns out in several ways. 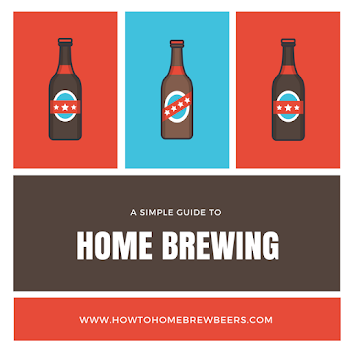 Enzyme function is affected by an out of whack pH level, the efficiency of your hops can be manipulated and it affects how well your yeast ferments your brew. So quite important then eh? So the short version of using strip is the result you are looking for is a measurement of between pH 5.2 and 5.5. This is a general, ballpark, 'rule of thumb' number. How then does one use a pH strip to test beer? Fill a beaker or glass with the sample of wort or mash that you are testing. Your vessel must be very clean and free of any contaminants that may affect the test result. Take a strip from the pack and add it to the solution. It will then change color. You should then immediately compare this colour change to the colour chart that came with your strips. This chart will indicate the pH of your solution. Your strips may have a recommended length of time to leave the strip in your solution, we suggest you follow that recommendation! Are pH strips just litmus paper? The difference lies in the intent of what one is trying to achieve by using either. By using litmus paper one is conducting a 'pass or fail' of test that determines if a substance is acidic or basic. When one uses a pH strip, one is determining the actual pH value. pH strips are thus more sensitive than litmus paper as they give you a more quantitative result - that said, it is still only indicative. If you need a precise measurement, then a quality pH meter will serve your needs. If you are fairly pretty Scrouge McDuck like kind of character, you can double the number of strips you have by carefully cutting them in half (down the length!) and then use as normal. Or, you can just stock up on Amazon, as they are really quite affordable.